“While not all disasters can be avoided, effective planning and preparedness can help mitigate their impact, it adds. Titled “Learning from mega disasters”, the report was jointly released by the World Bank Group and the Government of Japan on Thursday. 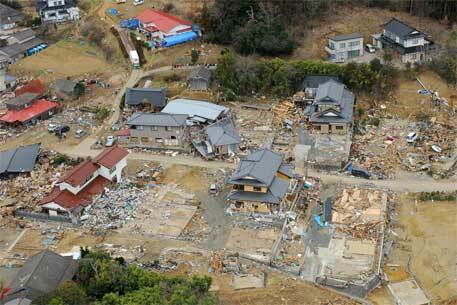 It focuses on the disaster and risk management lessons learned from the Great East Japan Earthquake of 2011. This was the first mega disaster ever recorded that included an earthquake, a tsunami, a nuclear power plant accident, a power supply failure and a large-scale disruption of supply chains. This impacted several industries worldwide. The release on World Bank’s website added that over the last 30 years, natural disasters are estimated to have caused US $4 trillion in economic losses. Poor communities are often hit the hardest and take the longest to recover from disasters. According to Sanjay Pradhan, the World Bank Group's vice president of leadership, learning and innovation, "Risks of all kinds, from natural disasters to the financial crisis, have the potential to cause huge devastation to communities worldwide. However, research has shown that societies that successfully adapt to these risks are able to show dramatic gains. We believe, therefore, that learning from disasters and crises is relevant to all of us."